Dr. S. Abraham (Avri) Ravid is a Professor of Finance at the Sy Syms School of Business of Yeshiva University. A Yom Kippur War veteran and war correspondent, Dr. Ravid has spoken on national Israeli and American radio about his experiences. He has more than 40 refereed publications, in journals such as the Review of Financial Studies, Journal of Finance, Quarterly Journal of Economics, Bell Journal, Journal of Business, Journal of Marketing Journal of Financial and Quantitative Analysis, as well as book chapters, monographs and other publications. His current research interests include corporate finance (mergers, bankruptcy, and corporate debt), contracting theory and venture capital as well as the entertainment industry. He has received several awards and prizes for his research. Dr. Ravid has presented at major conferences including the NBER, AFA, EFA, ALEA, the Searle conference as well as in Universities including Yale, Cornell, Wharton, Columbia, NYU, Dartmouth, INSEAD, UCLA, USC, Vanderbilt and many others. He has consulted to governments in Israel and the US as well as to private industry. 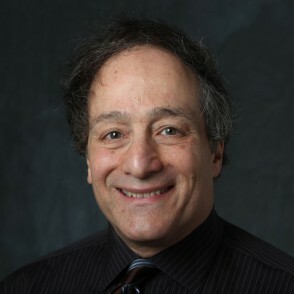 Dr. Ravid’s work was covered by the press around the world, including the NY Times, Wall Street Journal, Fox News, CNBC, National Public Radio, BBC, Nouvel Observateur, the Australian, New Yorker, Variety, Hollywood Reporter, Fortune, The Independent of London, the Toronto Globe and Mail and more. Prior to receiving his PhD from Cornell University, Ravid was a full time professional journalist in Israel as well as a documentary film maker. Previous appointments and visits include Rutgers University, Chicago Booth, Wharton, Cornell, Yale, NYU, Columbia University, UCLA, and Haifa University, Israel.